In a bowl, add 1/2 tsp ginger and garlic paste, 1/2 tsp chilli powder, lime juice, salt and 1/2 cup warm water and mix well. 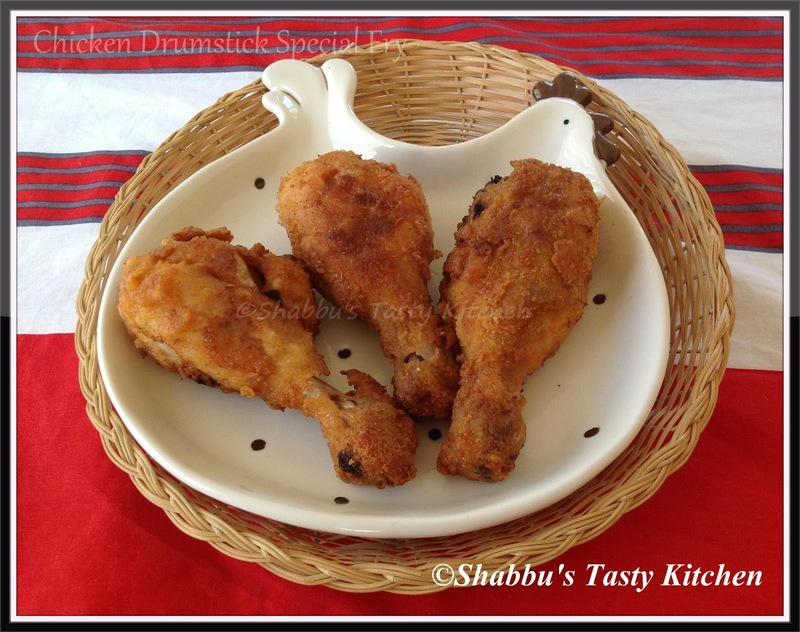 Add chicken drumsticks , mix well and keep it aside for 1 hour. In another bowl, add egg, 1/2 tsp chilli powder, dry mint, 1/2 tsp ginger and garlic paste and little salt and mix well. In a plate, mix equal quantity of plain flour and bread crumbs. Take each chicken drumstick and dip in the egg mixture (step 2) and then roll it in the plain flour- bread crumbs mixture (step 3) and coat well. yummy yummy and such a cute chicken plate ! well complimenting, Shabbu. like this version.. well made..
yummy and delicious fried chicken.